“It takes a village to raise a child” - In my family this isn’t just an African Proverb - it is in fact our reality. I am the second to the youngest of seven brothers and sisters and have been blessed with a number of nieces and nephews. Marketing gurus, like Melanie Notkin (and members of my team) have come to refer to me as a PANK - a what? Yes, a Professional Aunt with No Kids, and may I add this growing group has been coined to be “leading digital influencers”. Enough about PANK terminology though - did I mention I am blessed to be surrounded by a number of nieces and nephews? It is through these children - more often than not they could be considered young adults - that I’ve been able to reconnect, recharge and at times even rebuild myself. Now, my brother or sister may think otherwise, but they have their reasons. Parents do not clock out, nor are they given sick days and vacation time - those words are sparingly used in their vocabulary. Parenting involves being a role model day in and day out - regardless of whether you’ve had a challenging work day or if you are feeling a bit “blue”, you must be “on and in charge” when you walk in through that front door. It has been both my family's and my own mission to keep our culture and traditions alive through the next generations. This can prove to be more challenging than it seems - especially in today’s age where children are exposed to the good, the bad and the ugly. Through my bedtime stories I’ve made it a priority to teach my “children” the importance of “embracing YOU”, of sharing their “uniqueness” with the world and most importantly of being tolerant of others. “Rice & Rocks”, my soon to be released children’s book, touches on these very topics. One can learn a lot from a child’s palate, and it was in my own kitchen nook that I had some of the most enlightening conversations with my nephew Giovanni. We embarked on a journey across international cuisines where Giovanni ultimately learned that although we are all different and our tastes may vary, we each have something special to share with the world - and of course there are brownie points involved if it can be served on a platter! Although his time was cut short on this earth, he was able to shine a light on children and adults alike, while sharing his new found importance of the word “inclusivity”. Sleepovers (check), bedtime stories (check), arts and crafts (check), homework (check), weekend field trips (check), Jamaican Pumpkin Soup on Saturday - which may I add my mom’s recipe is on point (check), unconditional love (TRIPLE check) - believe me the list of things that I do for my “children” day in and day out could go on forever and I could not be happier. Although I do not have a child that was born from me, I have been given the opportunity to live through many children, and provide children the opportunity to live through me and my stories. Remember to give the children of your life your best self, and since I believe that ‘A child belongs not to one parent or home...but [their] upbringing belongs to the community’, do your best to make your community one that is best for our future generations. Book Summary: Tradition takes flight in Rice & Rocks, a picture book celebrating culture and diversity. Sandra L. Richards is the debut picture book author of Rice & Rocks. 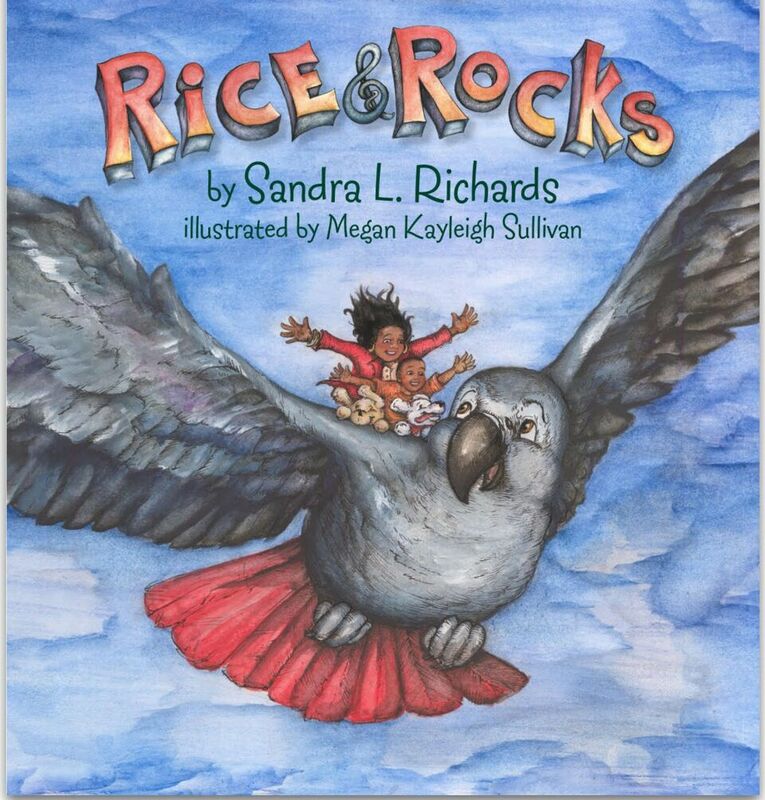 With Rice & Rocks, Sandra brings a unique contribution to the world of children’s books. 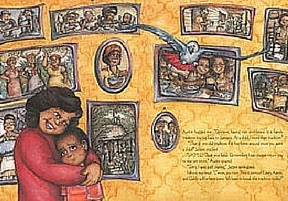 Sandra, an American-born daughter of Jamaican immigrant parents, hopes the book will serve as an educational resource for families seeking to teach their children the value of their heritage and the importance of cultural diversity. Rice & Rocks is illustrated by Megan Kayleigh Sullivan, a 2012 graduate of the Rhode Island School of Design with a degree in Illustration. She is currently working as a freelance illustrator and storyboard artist.